According to Bellagio officials, a Vegas blackjack dealer was stabbed in the face by a coworker. The blackjack dealer suffered deep cuts all across her face. This is the second violent event to happen this week within the Bellagio, the first being a murder-suicide that left two dead. Officer Marcus Martin, a spokesman for the city’s police department, said the female victim’s identity has not been released, but she was taken to the Sunrise Hospital and Medical Center, where she is being treated for the deep cuts. The woman who stabbed her fellow Vegas blackjack coworker was Brenda J. Stokes, 50, who was arrested and sent to the Clark County Detention Center. Stokes has been charged with various charges – burglary, battery with a deadly weapon, battery with use of a deadly weapon with substantial bodily harm, and mayhem. Stokes’ motive behind the incident is still unknown. Witnesses claim a fight broke out between the two Vegas blackjack coworkers around 9:47pm. Martin said “an edged blade” was taken from the scene of the crime, though it is not clear if that is the actual blade used to slash the victim’s face. Within minutes of the fight occurring, police arrived to arrest Stokes and evacuate the victim. Soon after, the blackjack area was back up and running. 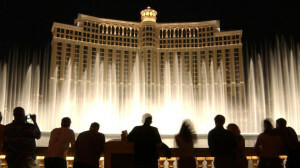 This kind of incident is unusual for the Bellagio, a high-end, Italian-themed resort known for its spectacular views and extravagant ambiance. The minimum bet for the blackjack area where the fight occurred is $100 and the maximum is $1,000. “I gotta say, if you look at the people we serve, the tourists and the locals, events like these do happy on the streets in Las Vegas. But this latest sorts of stuff? Inside casinos? Just off the Strip? This is rare,” said Martin.